Enhancement of seedlings production is a key to success in afforestation!! Have you ever raised a tree seedling by yourself? Some people may have experienced tree planting at schools, events, or at their own homestead once in their lives, but not so many of them would have raised seedlings from seeds. When it comes to afforestation on dry land, an essential thing to do is securing enough numbers of good seedlings tolerant to a harsh environment. However, severe social, economic and environmental conditions often prevent them to do so in the Sahel and the Horn of Africa Regions. 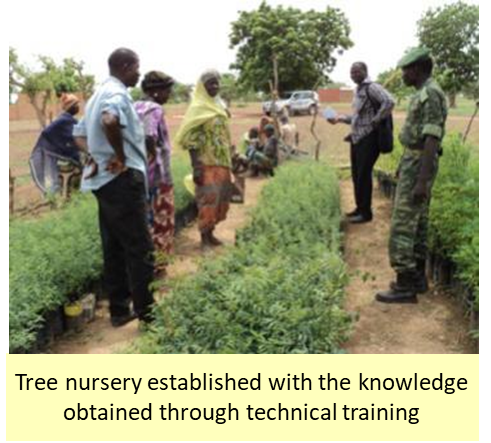 In Burkina Faso, while most seedlings are provided by private producers, there had been plenty of obstacles that disturb their nursery practices, which subsequently resulted in stagnating tree seedling production in Burkina Faso. 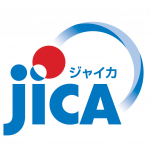 In order to encourage the production of tree seedlings, “Project of Support for Seedling Production Sector” was implemented by JICA for three years from 2010, in which technical training sessions in seedlings production were provided for private producers and forest officers. 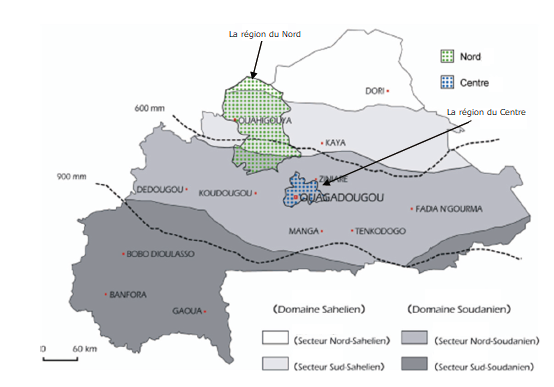 Burkina Faso is in part of the semi-arid Sahel region and has suffered from desertification. Especially, the northern part of the country, where the annual rainfall is less than 600mm, is in a severe situation with regard to the effects of desertification. 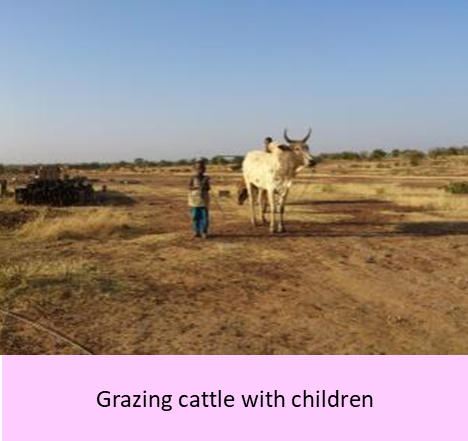 Combating desertification is a huge issue confronting the people in Burkina Faso. 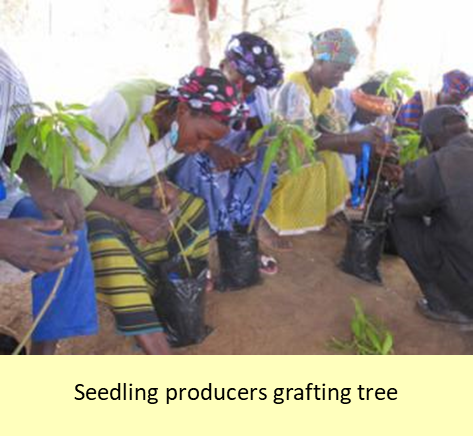 Considering seedling production as one of the necessary steps toward afforestation, the government of Burkina Faso started encouraging private sectors to produce seedlings in 1992. This policy helped to reduce the financial burden of the government and also created job opportunities for local people. 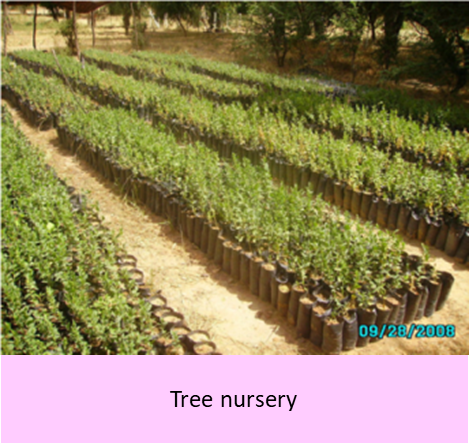 As a result, more than 80% of tree seedlings came to be provided by the private sector. However, the seedlings production by the private sector had various problems such as poor access to markets, low quality of seedlings produced, difficulties to procure nursery materials, lack of information, and so on. These problems led to an unstable seedling supply and thus gave a negative effect on tree planting activities. 2. 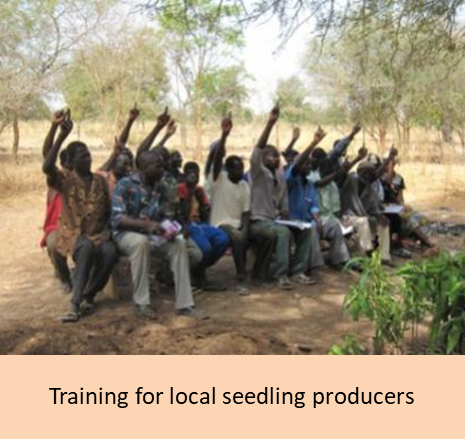 Produce more and more seedlings for greening Burkina Faso!! In response to this situation, the project was implemented in the Northern and Central Region aiming to promote strategic and efficient seedling production by the private sector. The first step taken to achieve the goal was the selection of priority tree species which are favourable in the regions (i.e. easy to grow and high market needs). Around ten priority species (e.g. Eucalyptus camaldulensis, Mangifera indica, Acacia nilotica) were selected from each of six sub-target regions based on the interview with various stakeholders. 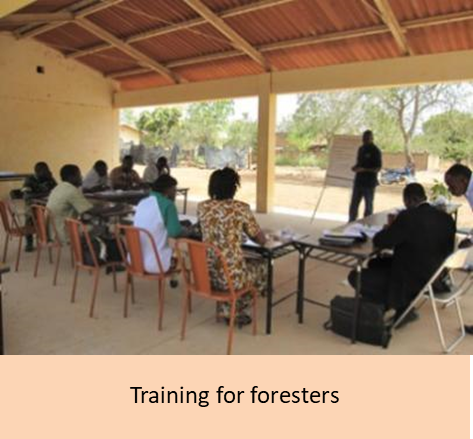 The knowledge and skills spread during the project still remains among the private seedling producers who participated in the training, forming the base of current afforestation practices in Burkina Faso. The technical manuals used for the training are available from the links below. It may be applied to other countries in arid/semi-arid areas!